The Junior K class welcomes 2019 (and winter) by exploring snowflakes! Happy New Year! 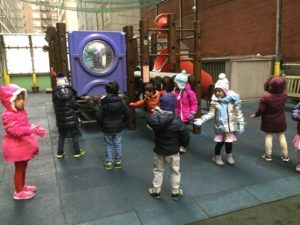 As 2019 begins, so does the spring semester at The International Preschools! We have a lot of exciting programs and events that will take place over the coming weeks and months. Read on to learn about what’s to come in Spring 2019!